They may have been intended only as pedagogical exercises, but the six Bach Cello Suites constitute one of those rare musical miracles which intersect the finite and the infinite. 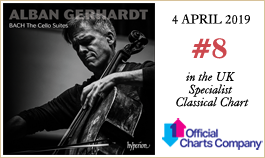 No one could accuse Alban Gerhardt of underestimating perhaps every cellist's 'ultimate challenge'—his words—and it's a challenge triumphantly surmounted in April's Record of the Month. 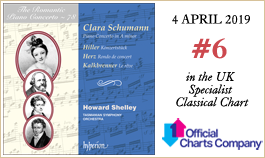 Clara Schumann's Piano Concerto & works by Hiller, Herz & Kalkbrenner is a fascinating compendium of composers all of whom had personal or professional associations with Clara's future husband Robert. Howard Shelley brilliantly plays and, as ever, simultaneously directs the Tasmanian Symphony Orchestra in volume 78 of the Romantic Piano Concerto series. 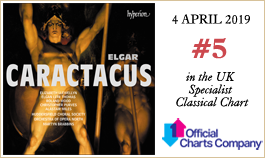 The woodland interlude is exquisite, the triumphal march rousing: written shortly before the 'Enigma' Variations, Elgar's Caractacus hardly deserves the neglect which so swiftly overtook it. No Elgarian will want to miss this stupendous performance from Martyn Brabbins and the combined forces of the Huddersfield Choral Society and Orchestra of Opera North. 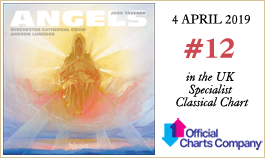 English choral writing of a later generation comes courtesy of Tavener Angels & other choral works, an album celebrating Sir John's long and fruitful association with Winchester Cathedral Choir—here conducted by Andrew Lumsden—in a programme which includes some of the composer's best-loved music. 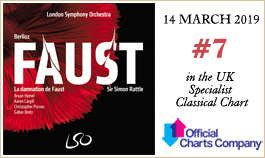 New from LSO Live this month is a dramatic new recording of Berlioz's Damnation of Faust, Sir Simon Rattle marshalling the serried ranks—celestial and diabolical—of the London Symphony Orchestra and Chorus. A new compilation from the same stable, the orchestra this time under the baton of Bernard Haitink, brings together the Beethoven Piano Concerto No 2 & Triple Concerto, acclaimed recordings made in 2005 and 2013. A tenth volume in David Goode's epic Complete Bach Organ Works once again showcases the Trinity Cambridge Metzler before the microphones of Signum Classics, for whom also Richard Watkins has devised a programme entitled The romantic horn which encapsulates the lyrical best of the instrument's repertoire: works by Beethoven, Schumann, Strauss and others, all warmly accompanied by Julius Drake. 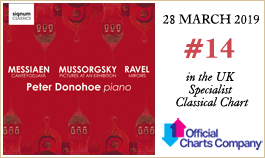 Solo piano music by Musorgsky, Ravel & Messiaen comes from Signum courtesy of Peter Donohoe: diverse explorations of 'pictures' in sound from a performer acclaimed as much for his musicianship and stylistic virtuosity as for his commanding technique. 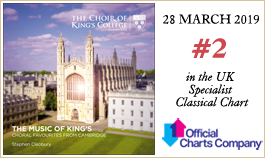 The music of King's is a freshly recorded compendium of choral favourites—classics of the repertoire plus the odd more unexpected item. Stephen Cleobury conducts a resplendent Choir of King's College Cambridge. 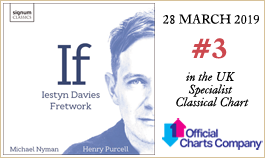 Iestyn Davies and Fretwork have recorded an intriguing new album for Signum. If & other songs by Michael Nyman intertwines twenty-first-century Purcellian re-imaginings with bold new harmonies and wondrous inventions to haunt the mind. And the Carducci String Quartet sees the second release in its on-going Shostakovich String Quartets cycle, here presenting Nos 1, 2 & 7.